Quantity: 1 box (25 lbs) yields 50 frozen pints. 1/2 lb yields 1 frozen pint. 1. Choose firm, deep red berries with glossy skins. Stem and sort. 3. Pack cranberries into containers, leaving headspace. Or follow directions below for style of pack desired. Syrup pack: Pack into containers, cover with 50 percent syrup, leave headspace, seal and freeze. 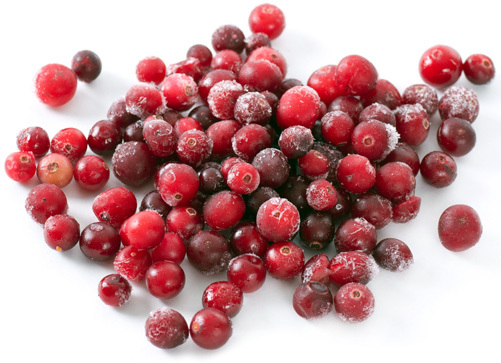 Unsweetened pack: Tray freeze; then pack cranberries into containers, leaving no headspace, seal and freeze.